Dr. Usama Saleh has more than 16 years of experience and expertise in nursing clinical practice, clinical education, and academic leadership. He has enjoyed teaching at the graduate and undergraduate level for the past 15 years. Dr. Saleh assumed various positions starting as an RN caring for oncology patients, clinical instructor at the University of Kentucky, Oncology Clinical Educator, Director of Nursing Education Department at a King Fahad Medical City and a Nursing Department Chair at Herzing University. 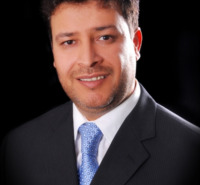 During his successful career, Dr. Saleh maintained contact with undergraduate and graduate students. Dr. Saleh research interest is patient advocacy, leadership styles, and clinical competence. Dr. Saleh published several research articles. He presented his research activities at national and international conferences and meetings. Dr. Saleh is extremely committed to providing service to his department, field, and community. He has served as a reviewer for the Nursing Education Today Journal and an editorial member for the Journal of Nursing Research and Practice. In addition, Dr, Saleh is a member of the American Nurses Association and the National League of Nursing. Dr. Saleh research interest is patient advocacy, leadership styles, and clinical competence. Dr. Saleh published several research articles. He presented his research activities at national and international conferences and meetings. Dr. Saleh is extremely committed to providing service to his department, field, and community. He has served as a reviewer for the Nursing Education Today Journal and an editorial member for the Journal of Nursing Research and Practice. In addition, Dr, Saleh is a member of the American Nurses Association and the National League of Nursing. Saleh, US. (2002). Quality of Life Following Bone Marrow Transplantation: Comparison with a Matched Group. : University of Kentucky..
Saleh, O’Conner, T.,Alsubhi, H., Alkattan, R., Alharbi, S. & Patton, D (Febr). The impact of nurse managers’ leadership styles on ward nurses.. British Journal of Nursing, 27 (4), 208. Saleh, U., O’Conner, T., Afanah, T., Moore, Z., Patton., D., Derwin, R. (2017). The use of competence fair to validate nursing competence. Nursing Education Today, 5 , 1-7. Saleh, U. (2018). Theory guided practice in nursing. Journal of Nursing Research and Practice, 10 (1), 4. Saleh, B., Nusair, H, Al Zubadi, N., Al Shloul, S & Saleh, U. (2011). The nursing round system: Effect of patient’s call light use, bed sores, fall and satisfaction level.. International Journal of Nursing, 17 (4), 299-303. Brockopp, D., Downey, P., Powers, B., Vanderveer, B., Warden, S., Ryan, P., & Saleh, U (2004). Nurses’ Clinical decision-making regarding the management of Pain. Accident and Emergency Nursing, 12 (4), 244-249. Brockopp, D., Downey, P., Powers, B., Vanderveer, B., Warden, S., Ryan, P., & Saleh, U. (2004). Nurses’ Clinical decision-making regarding the management of Pain. International Journal of Nursing Studies, 41 (6), 631-636. Welsh, D., Heiser, RM, Schooler MP, Brockopp, DY., Parshall MP, Cassidy KB., Saleh, US. (2002). Characteristics and Treatment of patients with Heart Failure in the Emergency Department. Journal of Emergency Nursing, 28 (2), 126-131. Saleh, US.,& Brockopp, D (2001). ). Quality of Life One Year Following Bone Marrow Transplantation: Psychometric Evaluation of the QOL-BMT Survivors Tool. Oncology Nursing Forum. Oncology Nursing Forum, 28 (9), 1457-1464..
Saleh, US.,& Brockopp, D (2001). Hope Among Cancer Patients Hospitalized for Bone Marrow Transplantation: A Phenomenological Study. Cancer Nursing, 24 (4), 1-7.